Amplus, a leader in the vegetable and fruit market, a producer and distributor with the annual turnover exceeding 600 million PLN is ready to lead a technological revolution in the industry, and so it teams up with Genomtec. Our common goal is to introduce innovation in fruit-farming, horticulture and agriculture. 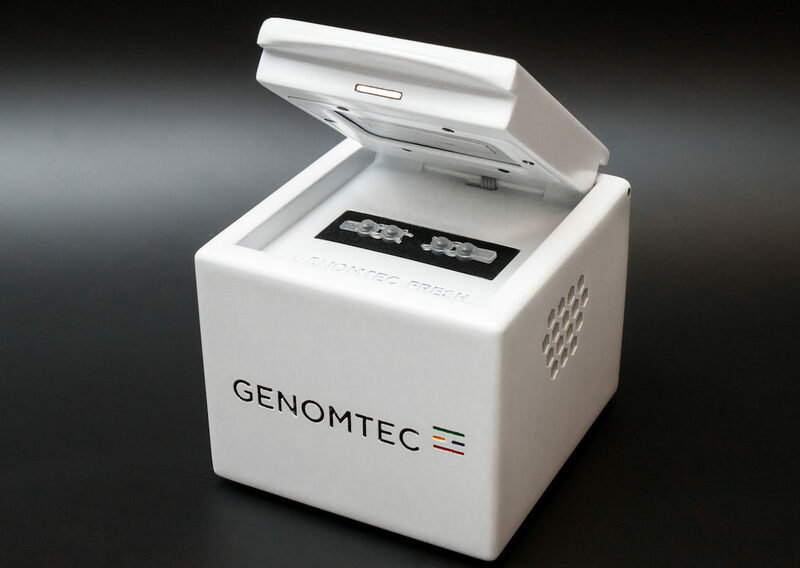 And the common solution is Genomtec Fresh – a small device that analyses the microbiological composition of soil, plants and water. – Genomtec Fresh makes it possible to quickly check whether the soil is free of crop-endangering fungi, nematodes or bacteria and be sure that the results are 100% correct. Early diagnostics translates not only into a significant reduction in crop losses but also a much more rational use of plant protection products, emphasizes Miron Tokarski, Genomtec CEO. The device that we have invented and designed is cheaper, smaller and more efficient than any solution currently available on the market. – At the moment, soil testing uses a thermal cycler with a fluorescence detection – a device which has been known for years and still costs several hundred thousand zlotys. Meanwhile, the price of Genomtec Fresh is just a few thousand. That is why, it is a solution desired on a global scale, Miron Tokarski emphasizes. Genomtec Fresh is the world’s first optical cycler with a heating, measuring and detecting system that uses electromagnetic waves. – No such solution exists in Poland and no one from the industry has heard about similar devices on other markets. Indeed, standard laboratory tests are used everywhere and a non-laboratory quick testing method has not been created yet, Mirosław Maziarka, Quality and Technical Director at Amplus emphasizes. Our device works based on an innovative INNAT technology (Isothermal Nucleic Acid Amplification Technology), whereas the proprietary detection method, SNAAT™ and the device itself are protected by international patent applications.